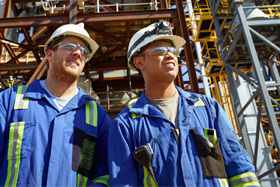 Enerkem tests unconventional feedstocks and raw materials proposed by its clients and partners at the Westbury facility. The plant also serves for the development of new products and as a training center for our plant technicians and operators. The innovation center allows Enerkem to scale up its process for full commercial deployment, such as the Enerkem Alberta Biofuels facility in Edmonton, Canada. Enerkem Westbury is a compact plant located in a rural area, near a sawmill that recycles used electricity and telephone poles and railway ties. Enerkem converts the non-usable portion of these poles, as well as other waste materials, into clean fuels and green chemicals. 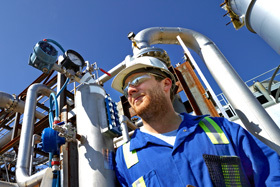 Joint-funded from the City of Edmonton and Alberta Innovates – Energy and Environment Solutions (AI-EES), the AERF offers state-of-the-art research and development capabilities to accelerate the implementation of new technologies that reduce the cost and environmental footprint of energy operations in Alberta. For Enerkem, the AERF allows the company to test diverse feedstocks for gasification and for production of higher value liquid products from syngas.